If you have any questions about the EL LOBO information page below please contact us. The good sized luxury yacht EL LOBO is a motor yacht. This 32 metre (105 ft) luxury yacht was created by Heesen Yachts in 1991. EL LOBO used to be named 7831. Superyacht EL LOBO is a majestic yacht that is able to sleep up to 8 guests on board and has around 4 crew. Finished and launched by 1991 this boat’s interior design showcases the stately ambience of the design work of Design Line Of San Diego. The yacht's wider design collaboration came from Howard Apollonio and Fryco and Diaship. The formal naval architect firm drawings are a creation of Howard Apollonio. Motor Yacht EL LOBO received her elegant interior designing from the interior design firm of Design Line Of San Diego. 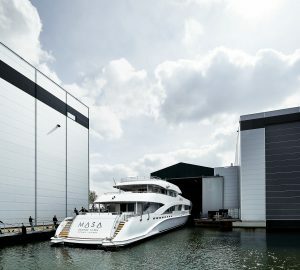 Created at Heesen Yachts this yacht was fabricated in the known yacht building country the Netherlands. She was officially launched in Oss in 1991 before being delivered to the owner. Her hull was built out of aluminium. The motor yacht superstructure is made predominantly from aluminium. The length of the luxury yacht on deck is 30.8 (101 ft). With a width of 8.23 m or 27 ft EL LOBO has fairly large interior. She has a reasonably shallow draught of 1.95m (6.4ft). The yacht is propelled by two quality MTU diesel engine(s) and can attain a exhilarative maximum continuous speed of around 29 knots. The engine of the yacht gives 1960 horse power (or 1442 kilowatts). Her total HP is 3920 HP and her total Kilowatts are 2884. EL LOBO is propelled by twin screw propellers. As for the yacht’s stabalisers she uses Naiad. With respect to bow thrusters she uses Dahne. The good sized luxury yacht motor yacht EL LOBO is able to sleep as many as 8 passengers and has 4 qualified crew. Main Engine(s) is two 1960 Horse Power / 1442 Kilowatts MTU. The Model type is 12V 396 TB93 diesel. Giving the combined power of 3920 HP /2884 KW. The yacht was installed with Heinen & Hopman AC. She has a aluminium-teak deck. 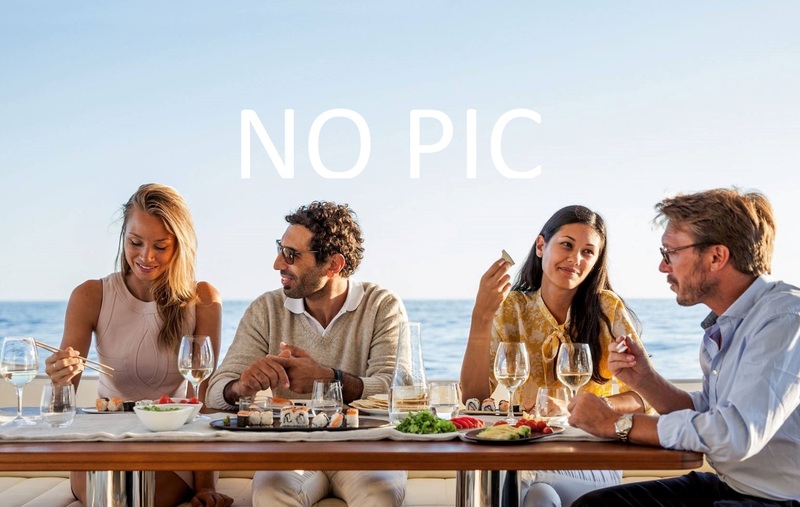 The luxury yacht EL LOBO displayed on this page is merely informational and she is not necessarily available for yacht charter or for sale, nor is she represented or marketed in anyway by CharterWorld. This web page and the superyacht information contained herein is not contractual. All yacht specifications and informations are displayed in good faith but CharterWorld does not warrant or assume any legal liability or responsibility for the current accuracy, completeness, validity, or usefulness of any superyacht information and/or images displayed. All boat information is subject to change without prior notice and may not be current.